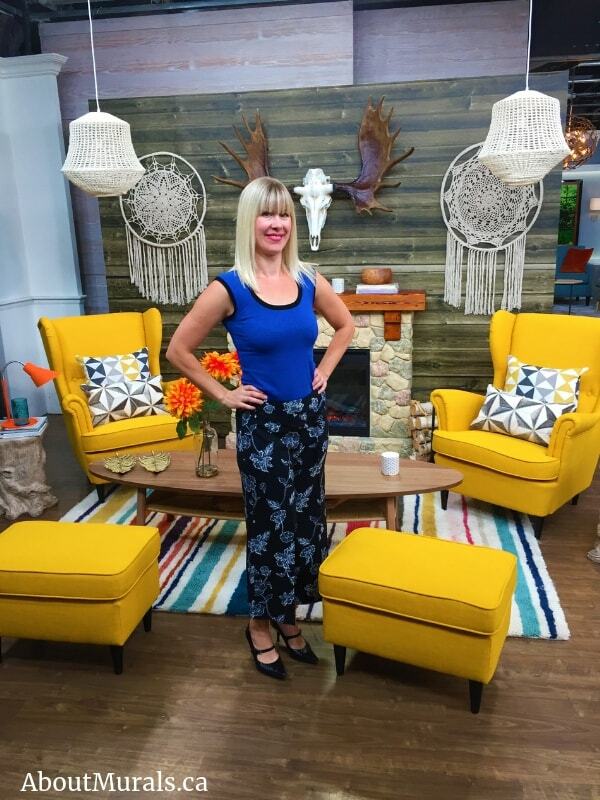 Did you see my barnwood wallpaper on Cityline today? 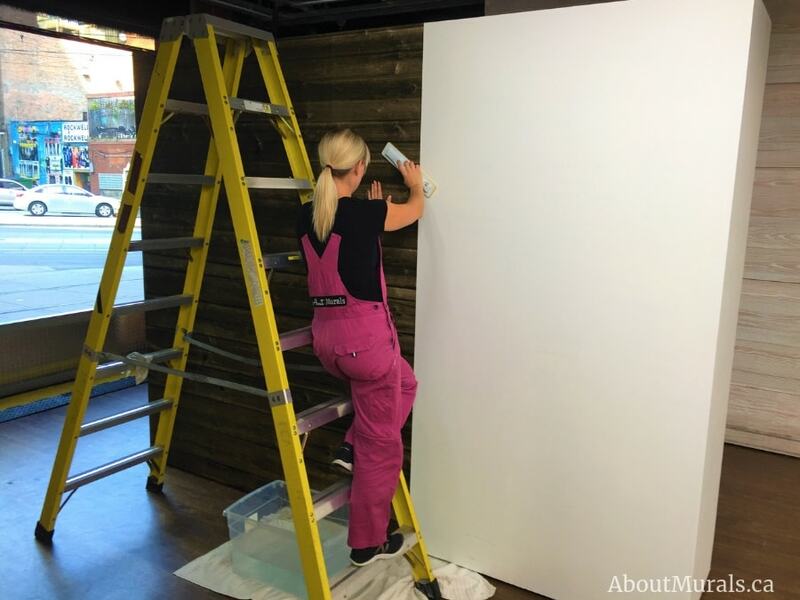 Colin and Justin made a retro 50s feeling room – using my mural to add a splash of rustic, making a modern twist for 2018. 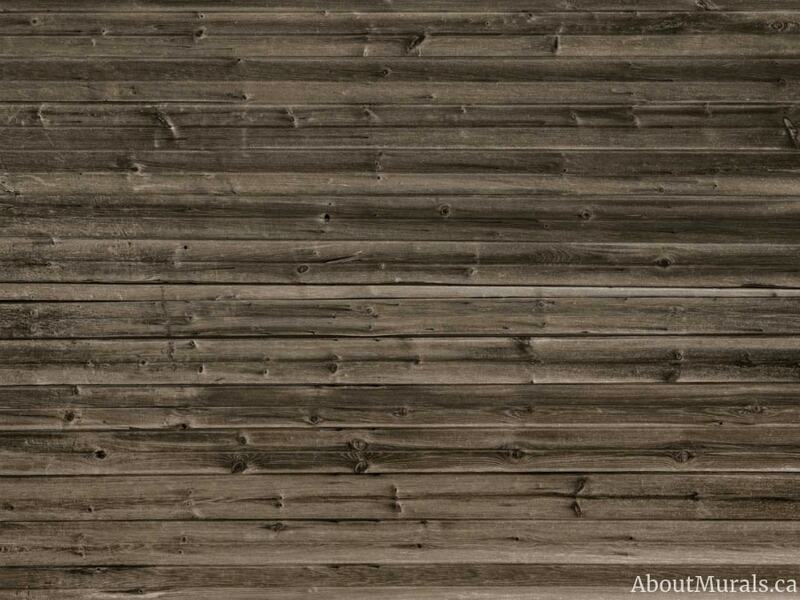 Here’s a closeup of the barnwood wallpaper, so you can see all the glorious detail! You can even order a sample if you need to see the detail in person. 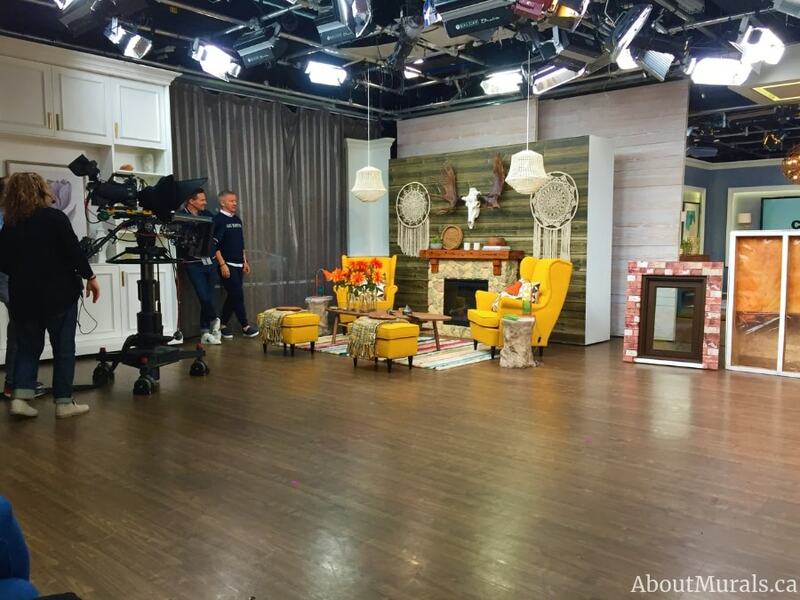 Although I always hang my murals for Colin and Justin’s Cityline segments (yup, that’s me in the overalls! ), it’s super easy to do yourself. I even made a how-to video for all you DIYers out there! Did you hear them talk about the removability (is that even a word?!) in the show? It literally peels off – and they are responsible for that the next day. 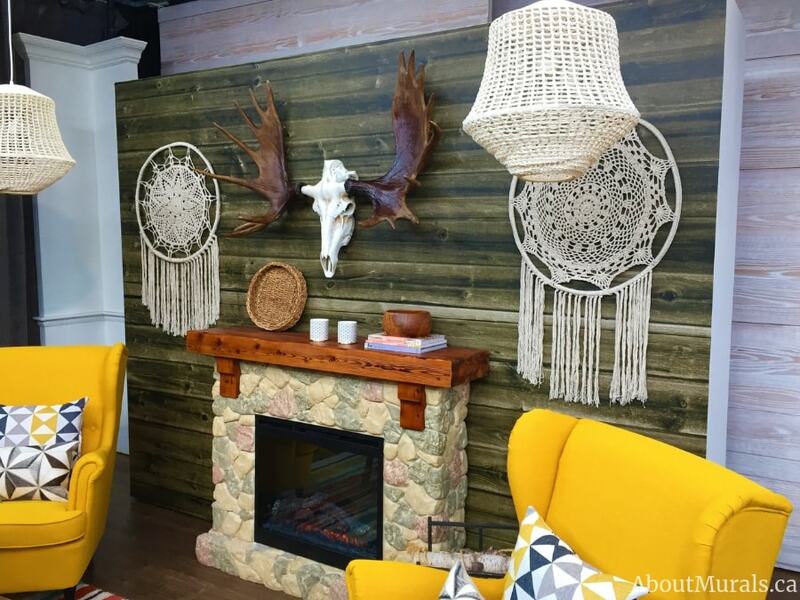 The reason my barnwood wallpaper on Cityline looks so real, is that the talented photographer takes around 74 individual photos of a real barnwood wall and then stitches them together in Photoshop, creating a super high resolution image that looks crisp. 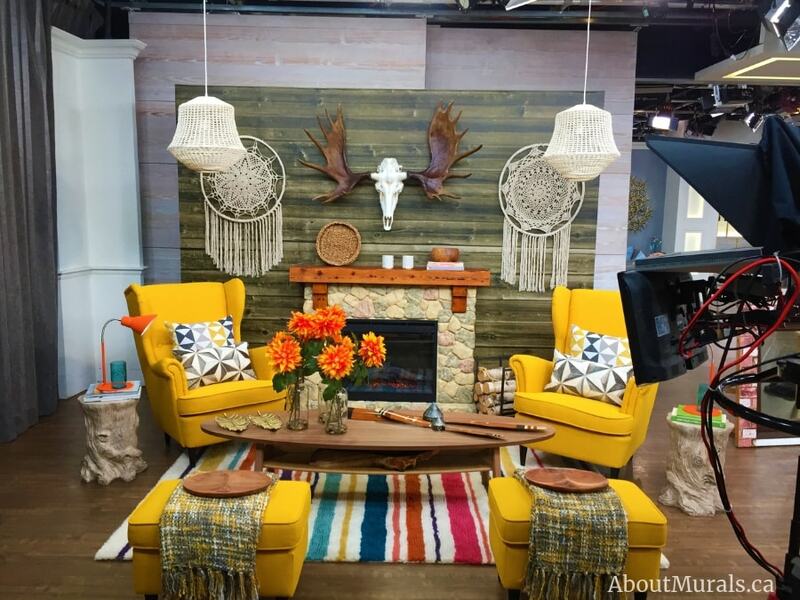 You can see the size of the barnwood slats look lifelike too, in relation to the full sized chairs and fireplace in the pic. 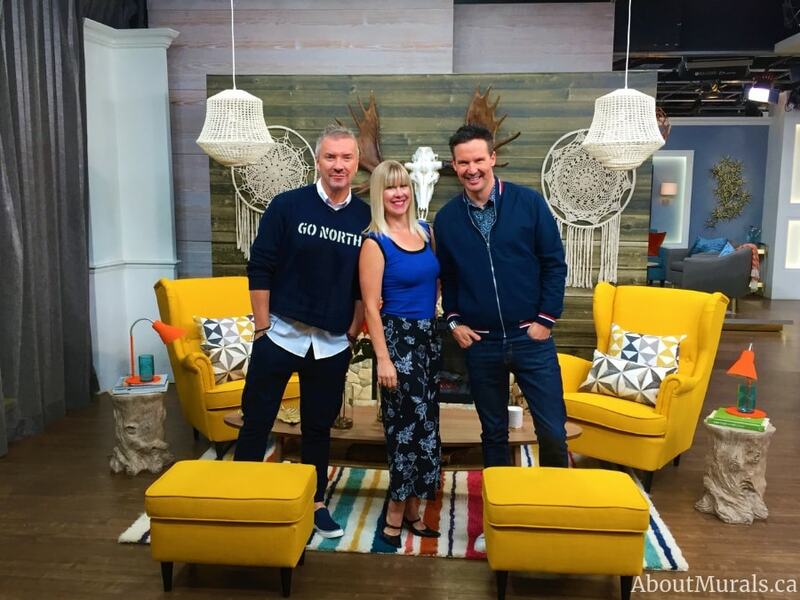 I always try to get to Toronto to watch Cityline in person when Colin and Justin use my murals. Then I can share some behind-the-scenes pics of their sets (always so moody and colourful). …and a candid one during filming. …before dragging my friend, Natty, up for a selfie. Did you catch us in the audience during the show? Sign up for my newsletter and I’ll send the latest promos…and maybe even a hot coupon code!